Vitamix Laboratories staff have an advocate and general helper in Angelica Rodriguez. 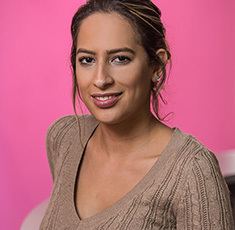 Whether it’s answering benefits questions, filling out finance applications, resolving a payroll problem, or organizing marketing materials, Angelica is up to the challenge. Vitamix Labs: Private Label Supplements and Custom Formulations. *The information provided on VitamixLabs.com is given for general informational purposes only and should not serve as substitute for legal or medical advice. ** The statements on this website have not been evaluated by the Food and Drug Administration. These products are not intended to diagnose, treat, cure or prevent any disease. *** All of our testimonials 100% verified have been submitted by actual clients of Vitamix Laboratories.